MARKETING magazine recently partnered TGV Cinemas, Moving Walls, Astro, Fried Chillies, Visual Retale and Directors Think Tank to play host to the marketing communications industry for a Cannes Lions screening, showcasing the best creative communications work in the world in 2018. 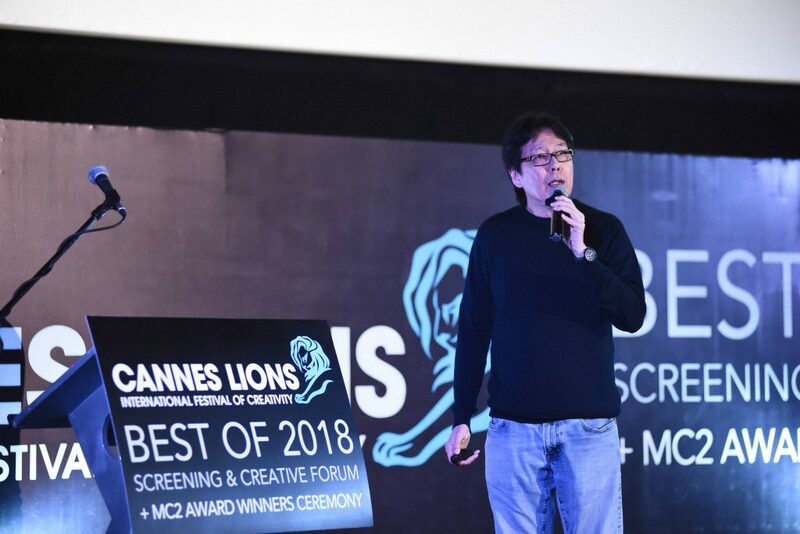 The programme began with a Special Presentation by Joe Pullos, Festival Director of Spikes Asia and then Ted Lim, Chief Creative Officer of Dentsu Brand Agencies Asia Pacific, took to the stage with his presentation “Learn from the Best of Cannes Lions”. A short panel discussion touching on “What it takes to be the world’s best” followed, which included Chief Creative Officer of TBWA\KL Gigi Lee and Executive Creative Creative at large Emir Shafri. The evening concluded with a ceremony for MC2 Awards 2018 winners and a networking evening with cocktails and buffet amongst industry folk.